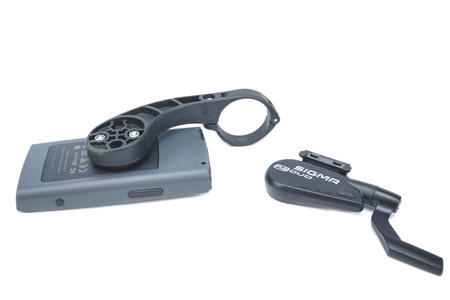 The ROX 12.0 SPORT is the top model of the ROX series from SIGMA SPORT. The GPS bike computer combines innovative map navigation with a professional training system. The ROX 12.0 also features exceptionally powerful hardware and a clearly structured operating concept. Large buttons and graphics on the touch display guide the user through the menu intuitively. The direct link via WiFi to the Strava, Komoot, GPSies and TrainingPeaks portals makes the ROX 12.0 unique. All data can therefore be synchronised without delay. 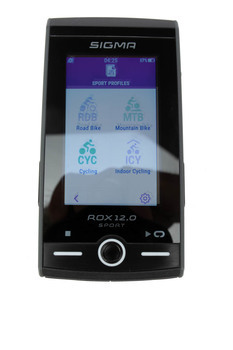 With its new features and modern design, the ROX 12.0 SPORT sets new standards in the area of GPS bike computers. 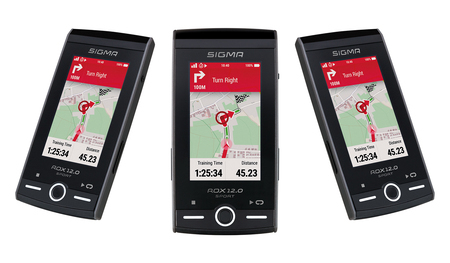 This first GPS navigation system from Sigma Sport is packed full of features. And they all come at an extremely attractive price.